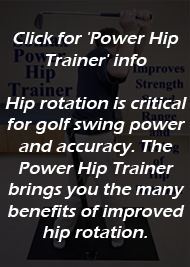 Rory McIlroy -- Most Unstable Swing in Golf History from Somax Performance Institute on Vimeo. 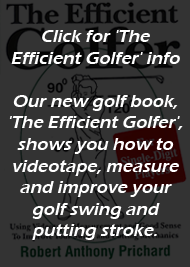 "The Somax Stability Score is the only golf swing metric associated with tournament performance." Somax Performance Institute, the world leader in analyzing, measuring and improving sports performance, is pleased to announce that their sports analysis videos have surpassed 2.5 million views. The Institute, which works with individuals from the sports and business communities, improves performance far beyond conventional coaching and training with its unique program of motion analysis and Microfiber Reduction. "We enjoy helping recreational and competitive athletes learn how to videotape, analyze, measure and improve their own sports mechanics instead of trying to copy well-known athletes, who often succeed in spite of their inefficient movement patterns,” says Bob Prichard, Director of Somax Performance Institute. "We ask athletes: why try to imitate pro athletes when you can develop more efficient movements on your own with our analysis system and your home video camera?" By measuring Stability, Somax has discovered the one golf swing metric that is directly associated with tournament performance.